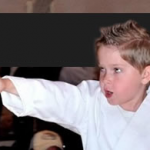 Kids Karate Rangers 4-6 yr old This program is offered once a week. There is a limit of 8 kids per class to insure each student gets the attention needed. The main objectives are to instill respect and control, to develop coordination and strength, and to develop a basic understanding of karate movements. 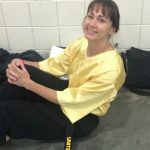 This is accomplished through a combination of age appropriate agility games and traditional martial art techniques. Kids 6-12 yr The main objective for this program is to develop respect, mental focus, strong character, and self defense skills. The classes are taught in a high energy, disciplined atmosphere. Classes are designed to increase strength and coordination through karate, kickboxing, and jiu jitsu movements. Additionally, each student progresses in their own personal journey through beginner, intermediate, and advanced levels of training. 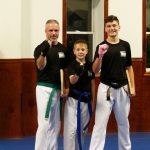 The training is designed to push each individual student to their full potential as a martial artist. This is a great program for instilling positive character traits that can impact every aspect of life. A high energy activity specifically designed to develop focus, cardio fitness, strength and flexibility. If your child is home schooled, this is a great program to include in your curriculum.